So many of our readers are now preparing for this upcoming exam and we are here to help our readers with our free study material. Today we are sharing rrb solved question papers pdf of last fifteen years and this rrb exam paper hindi pdf is very helpful for those friends who preferred preparation in Hindi Language. This year RRB will conduct his exam online . So the candidates who prepares for Banking exam has an advantage because they already know how to tackle with online exam . 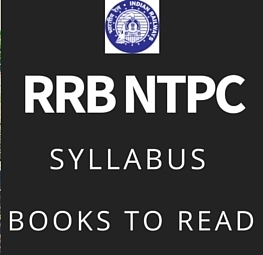 But don't worry friends we are sharing full syllabus for the RRB NTPC exam 2016 which surely helps you with your upcoming exam. Mathematics/Math (Quantitative Aptitude): This section includes arithmetic mathematics to test the accuracy in rapidity in working. Times and work ,Profit and loss,Simplification, simple and compound interest are the main topics of maths for the exam. General Knowledge/Current Affairs: This section covered question about Indian and international current affairs .You can expect question from Indian Rail Budget and Latest trending news about Indian Railways.You can also expect some questions from History and General science section. General Intelligence: The questions are designed to test the candidate's power of reasoning and his ability to draw conclusions. General English : This section covers the question about prepositions,articles,verbs and vocabulary. This section is focused to test ability of candidate to understand English.